Usually, January is the time when most of us find ourselves more motivated, determined and inspired than ever. There’s something about a new year, a new calendar, a blank page that seems so appealing and refreshing. It’s wonderful to have a reminder that we are in charge of our own life, and we can damn well do with it what we please. But, to feel inspire and motivate we don’t need to wait for an special occasion. We can inspire/motivate from anything and at any point of time. All people want different things, so they have different things that inspire them. Although we might think that we are demotivated beyond any possibility of motivation, we can be sure that there is something that could get us up and running; we just have to find it. Depending on what our goal is, we can find motivators. For instance, we could be motivated by the success of other people, best novels in the world, favourite songs, designs, works of art, movies, etc. In case we have a new goal we are striving for, we should find inspiring things that inspire us and motivate us in that direction. We know ourselves the best and we should know what will work for us. So, with this in mind I would like to explore new hobbies/activities that I’ve never tried before too. And as a process, I came across a list of things which inspired me most. And here I would like to share the top three things that inspired me last month. Disclaimer: This post is not sponsored by anyone and this is a 100% honest list of things that have inspired me recently. 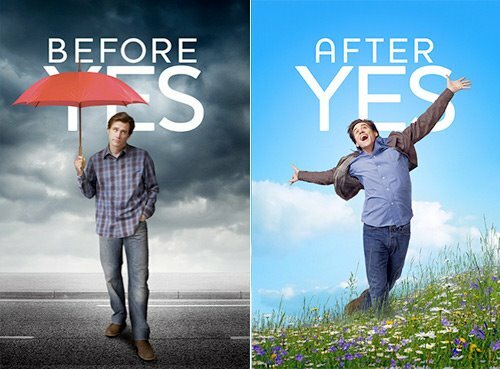 I saw the movie “Yes Man” the other night and I thought it was one of Jim Carrey’s best movie in years. He plays a bank employee, Carl Allen, who has become withdrawn after a divorce. He says no to everything offered him and has an increasingly negative outlook on his life. Then he goes to a “Yes!” seminar. Reluctantly, Carl agrees stop being a “No Man” and say, “Yes!” to every opportunity that comes his way. Mostly this is a good thing, and he meets his new love and gets the job he’s always wanted. When we take our ego out, we begin to realize, what’s wrong with eating ice cream at a bad time, what’s wrong with getting a little muddy on a rainy day. Just saying “Yes” feels good. Try it! “No” makes us feel grumpy inside. “Yes” is a word of gratitude, of being a Possibilitarian. “Yes” lets us accept opportunities we never dreamed of before. Every book that is written by a doctor has to be great, including the book I am going to say now. 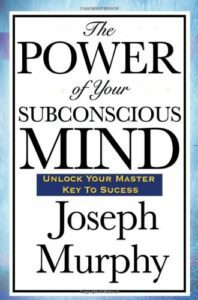 The name of the book is The Power Of Your Subconscious Mind – Unlocking Your Master Key To Success and is written by Dr. Joseph Murphy. To give you an overview of the book I am going to highlight the some main takeaways I got from the book and hopefully give you a better understanding of how we can use our subconscious mind to our advantage. Learn the secret of “eternal youth” and much, much more! Usually some games are most time wasting games we play on our phone. This one is quite bold. Usually games like candy crush or farmville takes some ideas from our brain while playing. But this game removes any trace of skill. 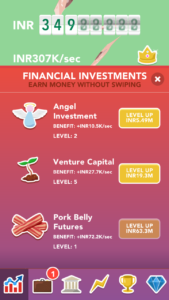 Basically the longer we play the game or even just leave the game installed in our phone the more virtual money we get. And that virtual money we can spend it in order to get more money. 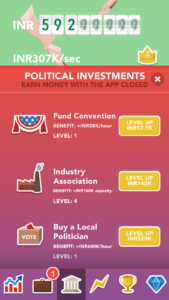 But I see this game as a kind of satirical peace of art, every time we open the app we get a bible phrase and that’s the strange way to start the game that is all about acquiring as much money as possible. 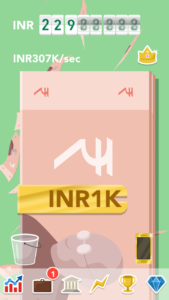 But I think that’s the thing as we get more money as we go from where a lakh seems like a low and sure after that crore. 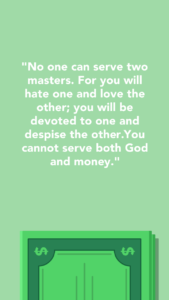 And this game is the best example I have ever seen of how the money doesn’t buy happiness. As long as we chase the money, we gradually decreasing the fun in playing it. I think that’s quite cool message for an app to have. There is No Fun in just Making Money.